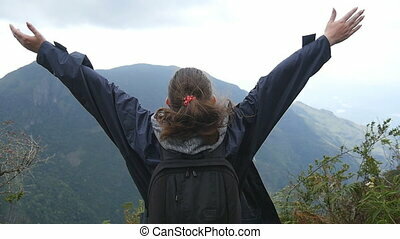 Concept of freedom and happiness with mountaineer joyful woman reaching the mountain summit top and raising arms. Woman runner happy and celebrating success. 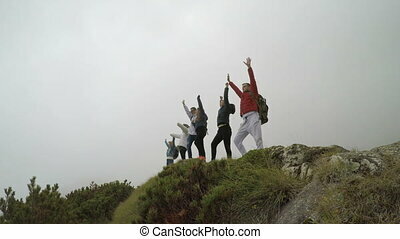 Female run on top of the mountain, cheering in winning gesture, victoriously outstretching arms up. Freedom. Young female hiker with backpack reaching up top of mountain and raised hands. 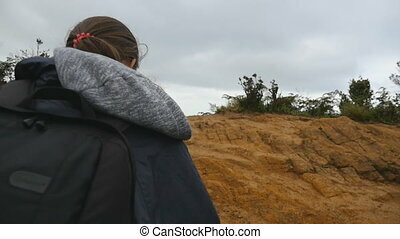 Woman tourist in raincoat standing on the edge of beautiful canyon, victoriously outstretching arms up. Slow motion. 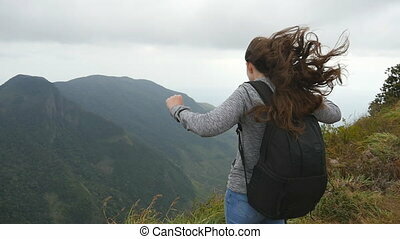 Woman tourist in raincoat running to the edge of beautiful canyon, victoriously outstretching arms up. Young female hiker with backpack reaching up top of mountain and raised hands. Slow motion. Woman tourist running to the edge of beautiful canyon, victoriously outstretching arms up. 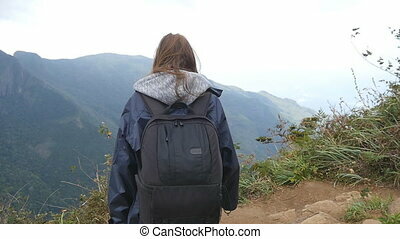 Young female hiker with backpack reaching up top of mountain and raised hands. Slow motion Close up. 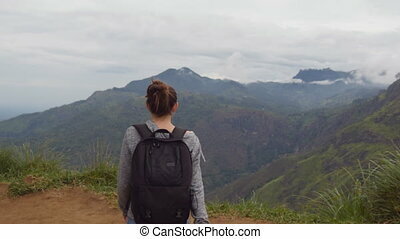 Young female hiker with backpack reaching up top of mountain and raised hands. 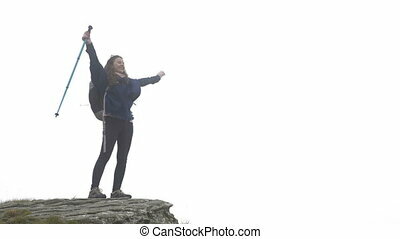 Woman tourist standing on the edge of beautiful canyon, victoriously outstretching arms up. Rear back view. 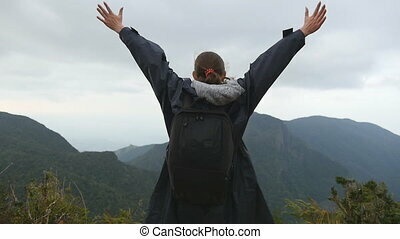 Happy young woman with arms raised on top of mountain. 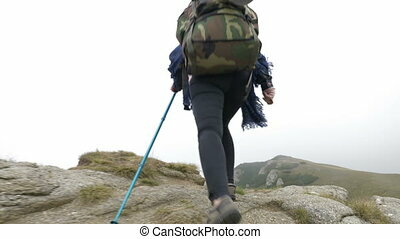 Lady reaching the summit in beautiful scenery. 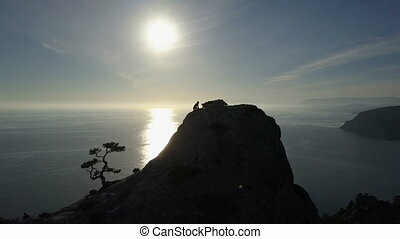 AERIAL SILHOUETTE: young woman climbs up a mountain. 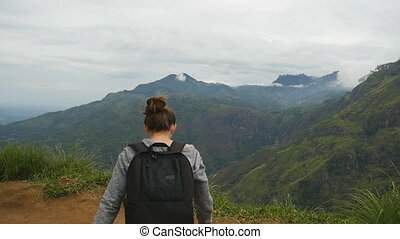 Young female hiker with backpack reaching up top of mountain and raised hands. Woman tourist standing on the edge of beautiful canyon, victoriously outstretching arms up. Slow motion Rear back view. 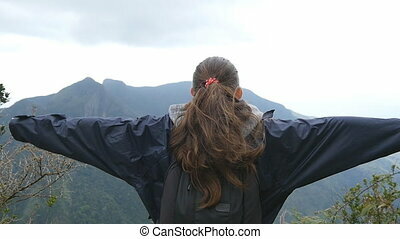 Woman tourist standing on the edge of beautiful canyon, victoriously outstretching arms up. Young female hiker with backpack reaching up top of mountain and raised hands. Slow motion Rear back view. Young female hiker with backpack reaching up top of mountain and raised hands. 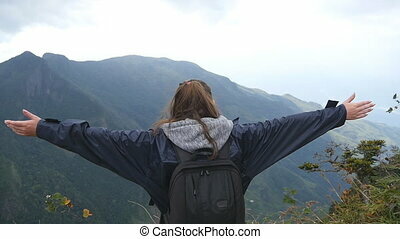 Woman tourist in raincoat standing on the edge of beautiful canyon, victoriously outstretching arms up. Rear back view. 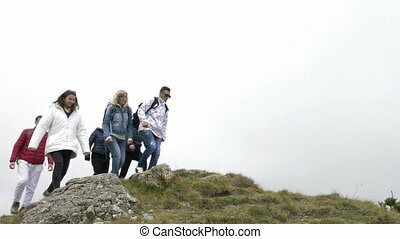 Young couple of tourists with backpacks running to the edge of beautiful canyon and victoriously outstretching arms up. 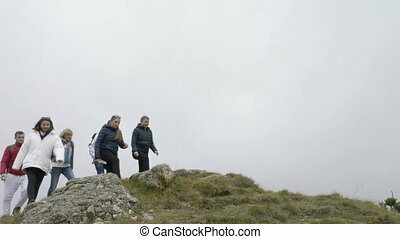 Man and woman reaching up top of mountain and raised hands. Slow motion. Man and woman standing on the edge of beautiful canyon, victoriously outstretching arms up. Young couple of tourists with backpacks reaching up top of mountain and raised hands. Rear view Slow motion.